Just wanted to summarize an interesting article in the Atlantic Monthly. Disclaimer: The views expressed herein are solely the author's and should not be attributed to the designer of this website. It has almost been five years since 9/11 and the beginning of the war on terror. Instead of taking the viewpoint of where America stands after five years, the article tries to determine the current state of the conflict from the terrorist's perspective to figure out how America can win the war. By looking at the war on terror from al-Qaeda's eyes, the US is doing very well and the overall prospects look better than nearly all political rhetoric asserts. The Taliban have been dispersed, al-Qaeda training camps dismantled, leaders captured or killed, and most importantly communication, travel, and money transfers are dangerous activities for the jihadists. Operations have been decentralized and the structure of al-Qaeda crumbling. The al-Qaeda that existed in 2001 simply no longer exists. Inspired, al-Qaeda style terrorist groups are still successful (Madrid, Bali, London), but the chances of a large-scale attack, a "second 9/11", have been significantly reduced. The Department of Homeland Security seems to have contributed little to the protection of the United States. $42 billion per year is spent to keep out the Mohammad Attas, but may also be keeping out the Andrew Groves and Sergey Brins (co-founders of Intel and Google, respectively). Security experts view airport spending largely for show and to assuage passenger's fears. The only real successes the terrorists have obtained are from our mistakes, where Iraq is our biggest mistake. The US cannot spend decades cowering defensively. Terrorists can damage us but cannot destroy us. Their greatest weapon is the ability to provoke us. We determine our response and therefore have control of our destiny. Documented as al-Qaeda's strategy, “superpower baiting” relies on the predictability of the US to react in an extreme manner. What should the United States do? 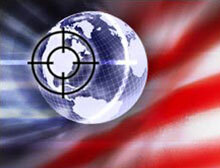 Declare that the "global war on terror" is over and that the US is victorious. A state of war encourages a state of fear, encourages the use of resources in a warlike manner, and perhaps worst of all, an open-ended war is an open-ended invitation to defeat. Sometime there will be more bombings, shootings, poisonings, and other disruptions in the United States. They will happen in the future because they have happened in the past (Oklahoma City; the Unabomber; the Tylenol poisonings; the Washington, D.C.-area snipers; the still-unsolved anthrax mailings; the countless shootings at schools; and so on). These previous episodes were not caused by Islamic extremists; future ones may well be. In all cases they represent a failure of the government to protect its people. But if they occur while the war is still on, they are enemy “victories,” not misfortunes of the sort that great nations suffer. They are also powerful provocations to another round of hasty reactions. The United States needs to shift its operations to a long-term, nonemergency basis. The United States can declare victory by saying that what is controllable has been controlled: Al-Qaeda Central has been broken up. On a lighter note, the movie World Trade Center was great! Go see it! Maybe I´ll check it out when I get back. .. AND I´ll bring a box of tissues. Hope the link works. Maybe this can lower our copays!